We have noticed a lot of human interest around something called the World Cup. It is supposed to be the most watched sporting event in the world. We were a little confused at first. We call it soccer over here, but everyone else calls it football. Which kind of makes sense. A bunch of sweaty men play it with their feet. After watching for a while, we noticed something interesting. The players use their feet and heads to move the ball. The only one who can use his hands is someone called a goal tender. This was the perfect game for animals! We have paws or hooves, not hands. So why wasn’t there an Animal World Cup? We went to the source of all information, Google, and typed in “Animal World Cup.” The only thing there was a bunch of sweaty men playing soccer/football. We tried “Animal Soccer/Football” and got local youth leagues. “Professional Animal Soccer” got no results. How very strange. 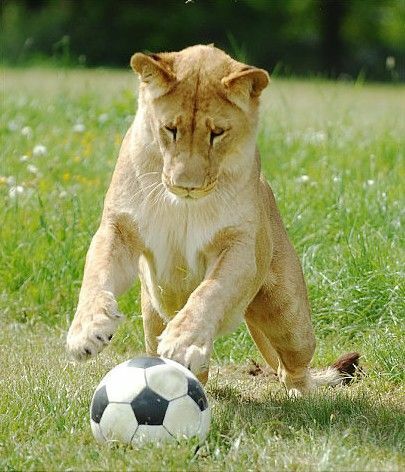 Animals have always played a game similar to soccer. It was most popular in places with large fruit or vegetables that could be used as a ball. Players were ejected for eating the ball. The main rules were that players could only use their head and paws to move the ball. The “goalie” was allowed to use his entire body to stop the ball. The games would start at mid-afternoon and end at dusk. 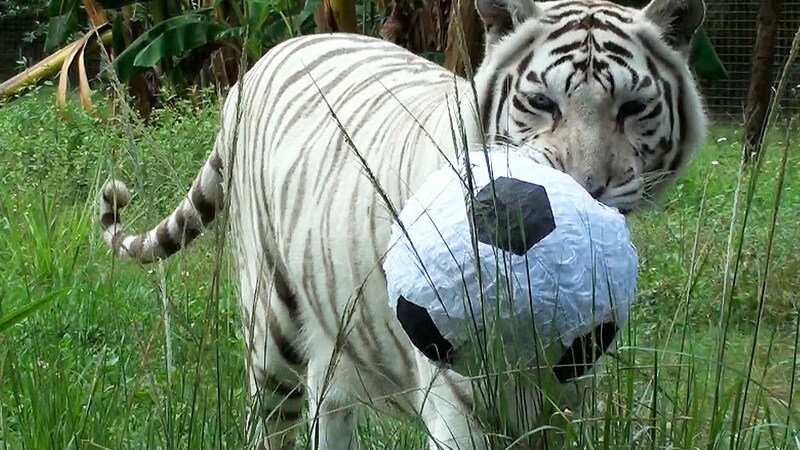 For years, the animals played soccer uneventfully. However, one day the gorilla coach had an idea. His players had only been using their hind legs to play. Why not try using the front ones? The idea was brilliant. The gorillas were unbeatable. The other animals sued to keep the gorillas from using their front paws. The judges weren’t sure what to do. Technically, the gorillas were right; they were using their paws. Realistically, the other animals were right; opposable thumbs made the paws closer to hands. The judges went with the rules. The gorillas’ paws were allowed. However, they reminded the other animals that there was no rule about only having one species on a team. Every team tried to get at least one gorilla to join them. 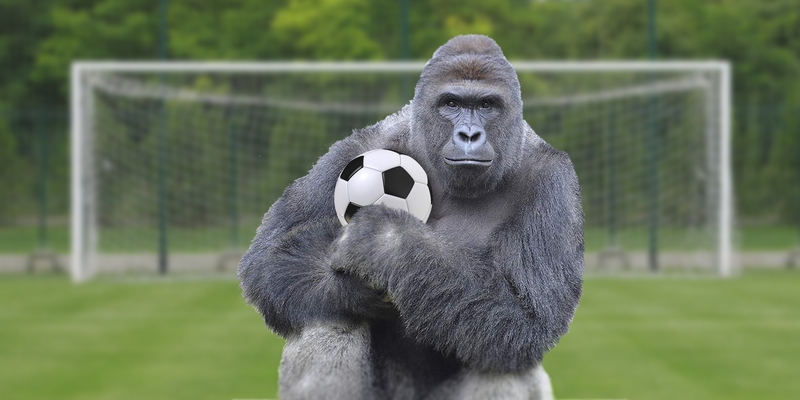 Of course, there were not enough gorillas for all of the teams. So the teams tried to lure them with bananas, ants and other treats. Chimpanzees and other animals with opposable thumbs were also in high demand. Teams had to hide their prized players or another team would bribe them away. Soccer wasn’t fun anymore. All the focus was on the star players. Soon the other animals wanted to ban any player with opposable thumbs or force them to play in their own league. Simians, pandas, koalas, and possums were outraged. They claimed species-ism. They all went back to court. This time the judges determined that there was no fair way to answer the question and banned all competitive soccer between adult animals. For a while, the animals grumbled and blamed each other. As time passed, they decided that the judges were right. They shouldn’t fight each other over a game. It passed down from generation to generation that animals only played soccer for fun. Before long, it wasn’t questioned. It just was. My husband and I started going to a new church in a small town (village actually) not far from here. It’s a stereotypical small town with a main street full of small shops and extremely nice people. The church itself is 175 years old. Like many small towns around here, they have a street fair-type thing over the summer. Ours was this past Friday and Saturday. Being the new deacon (yes, it’s true – I’m ordained), I wanted to show I’m a team player. Gotta be sure to research before making a commitment like that. Friday was good. I was at the information booth handing out goodies (various noise-makers) and answering any questions people had. The section we were in was beautiful. A little valley next to the river. Very bucolic. Until we got to the last act on the entertainment schedule. They introduced themselves as a band from a local school district. My expectations weren’t extremely high; just some very generic covers of popular music. On the positive side, the instrumentals were very good. As was one of the male singers. Unfortunately there were four singers (two male, two female). Who were very loud. And did not enunciate. And did not hit one correct note in some of the songs. Then they did the unforgivable. I have always been a fan of Eric Clapton. I think some of the work he did with Cream is amazing. The band tried to play Sunshine of Your Love (http://www.youtube.com/watch?v=pwDo0JUeKqM). I don’t know how the instrumentals sounded. They couldn’t be heard over the tortured-banshee singing of the girls. You would not have had to be a fan of 60’s rock to have felt my pain. The big event for the church came the next morning. The famous chicken barbecue. It was pretty amazing. They build a massive production grill on the front lawn and barbecue halves of 500 chickens in an assembly-line type of thing. But first the parade. The church is known for the chicken dinner so the float had to be something chicken-esque, right? OK. It’s a flatbed trailer, covered with bales of hay. Church members sit on the hay wearing chicken hats (felt, chicken-shaped) playing kazoos. Yes, you read that correctly. Anyone who says we take ourselves too seriously needs to come to the parade. We rode around town playing Take Me Out to the Ballgame, When the Saints Come Marching In, and other crowd favorites. We each had a three-foot chicken cut-out (very nicely decorated) that we could make dance along. When they told me about this, I wasn’t even sure what a kazoo was. I think I may have played one on a boat that used to go up and down the Detroit River when I was little. I could not seem to get the hang of humming the tune into the thing to get the song to come out. It probably had something to do with laughing too hard to get my mouth properly around the kazoo. I think we might have been the most popular thing in the parade if Paws hadn’t shown up. Paws is the mascot for the Detroit Tigers. Admittedly, Paws is extremely cute. He doesn’t have one of those creepy, over-sized heads. He actually looks like a friendly tiger on two feet. I may be the only chicken who can say she was hugged by a tiger. We had to give the chickens back at the end, but got to keep the kazoos. Mine is sitting on the table right now. I certainly don’t want to play it, but it seems wasteful to throw it away after only using it once. Maybe I’ll leave it at the church for next year. It’s probably safe from theft. The barbecue was a bit of a let-down after that. It was very successful, and the chicken was delicious. But I had to go back to being an adult. A couple of the men told me I needed to learn how to flip the chickens on the barbecue. They have huge racks that probably hold 20 chicken halves. They put a second rack on top and flip it over to cook the other side. I got on one side and one of the guys got on the other. When we went to flip, my side opened (of course) and I lost a chicken. They told me I had to try again next year. I need to check the budget to make sure there’s insurance to cover loss of chickens. The next big event is the cookie walk at the beginning of December. Apparently this church is known for food. It’s a huge sale – kind of a build-your-own cookie selection. They had 8 long tables full of cookies to choose from last year. At least they don’t dress up like elves.